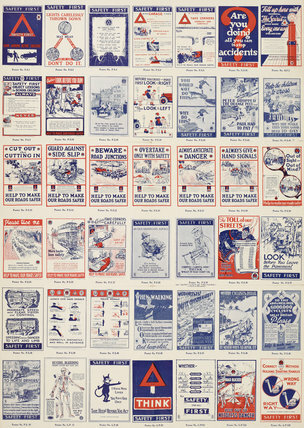 These are stock posters published by the National Safety First Association during the 1920s. Typically, they would be displayed during a locally organised Safety Week. Most of these images are related to Road Safety, reflecting the significance of this concern during the early phase of RoSPA's development.